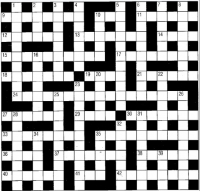 The popular London Evening Standard double crossword is a winner with two sets of clues – cryptic and easy – for one grid. Sold in the UK and throughout the English-speaking world. Sally Brompton is one of the world’s most widely-read and respected astrologers. Her astrological forecasts appear in publications across the globe including the The Mail on Sunday, The New York Post, TV Guide and Seventeen in America; The Globe and Mail in Canada: and The South China Morning Post in Hong Kong. What else can be said about the world’s most famous — er, not to mention fattest and laziest — cat? He’s just a wise-cracking, nap-taking, coffee-guzzling, lasagna-loving, Monday-hating, dog-punting, spider-whacking, mailman-mauling fat feline. And he’s the most beloved strip in the world, read in more than 2,400 newspapers, with a readership of 200 million. Dilbert by Scott Adams is the most photocopied, pinned-up, downloaded, faxed and e-mailed comic strip in the world. Dubbed “the cartoon hero of the workplace” by the San Francisco Examiner, Dilbert has been syndicated since 1989 and now appears in 2,000 newspapers in 65 countries and 25 languages. 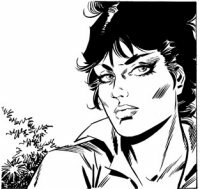 The dark underworld of espionage and crime is lit up by the fatal charms of the gorgeous Modesty Blaise – high priestess of pulp crime and goddess of cult thrillers. Illustrated by Enric Badia Romero. Modesty is 50 in a few years time, but it would be impolite to name the date. This adorable basset hound is a courteous, considerate and well-mannered English character who brings a classic touch to any comics page. Soon to mark his 50th birthday in 2012. Perhaps the most brilliant comic strip ever created, Calvin and Hobbes entertains with dazzling cartooning and tremendous humor. Bill Watterson’s Calvin and Hobbes has been a worldwide favorite since its introduction in 1985. The strip follows the richly imaginative adventures of Calvin and his trusty tiger, Hobbes. Whether a poignant look at serious family issues or a round of time-travel (with the aid of a well-labeled cardboard box), Calvin and Hobbes will astound and delight you.